Starry and sweet, this free quilting pattern is perfect for Baby. 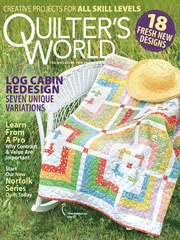 Applique star shapes to a pieced background that you'll create from varying-width fabric strips. Quilt size: 26 1/2" x 34".